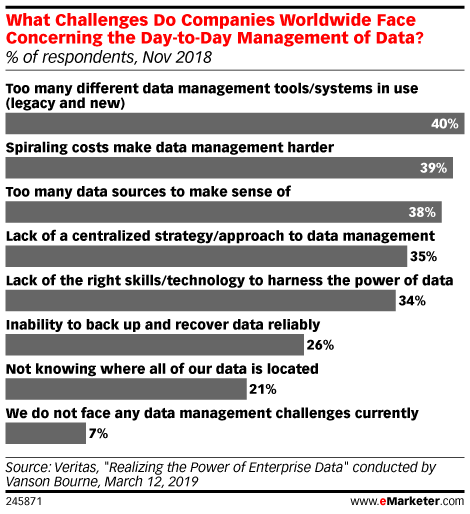 Data is from the March 2019 Veritas report titled "Realizing the Power of Enterprise Data" conducted by Vanson Bourne. 1,500 IT decision-makers and data managers worldwide were surveyed during October-November 2018. Veritas is an international data management company.